Wii U sales in Japan dipped below 10,000 per week. A wise man once said, "My career's slowed down a little lately" when asked about his current employment situation. Despite a strong start, the Wii U's sales have slowed down as well, including in its native country of Japan. Recent sales figures indicate that the Wii U lost out to Sony's similarly struggling handheld, the Vita, in last week's roundup. While the Vita's weekly sales - 11,456 units - will hardly set the world on fire, the Wii U fared even worse, with 9,633 consoles sold. These numbers are likely the result of a conflux of two factors: the impending Japanese Vita price drop, and the lack of new software for the Wii U. 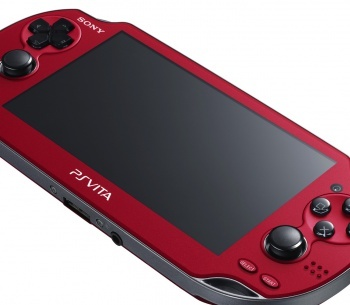 Although the Vita price drop has not officially taken place yet, some retailers may be slashing costs already, leading to renewed interest in the system. TANK! TANK! TANK! debuted at spot #13 on the Japanese sales charts: not quite enough to move any appreciable quantity of Wii Us. This reversal is not likely to subside next week, either, since that's when the official Vita price drop will start factoring into sales. Overall, though, Nintendo doesn't have too much to worry about on the sales charts. While the PS3 sold twice as many consoles as the Wii U last week, the 3DS outsold the PS3 by a factor of 4:1.